Ad-blocking is a known issue for the advertising and publishing industry worldwide, but what about South Africa? We share the most recent numbers on ad blocking for the country. It’s best to first explain what ad-blocking is and why it is an issue for advertisers and publishers alike. Ad-blocking software has been around for some time now. Its purpose is to stop online advertisements from appearing. It has become increasingly popular because consumers are finding ads increasingly distracting and overwhelming. Online ads are vital for the publishing industry. For many publishers, it is their primary source of revenue and often the reason why they can supply free, quality content. This income pays for journalists, bloggers and technology. All of which helps publishers to achieve their primary goal: Creating engaging content. Our recent survey results show that 13% of respondents use an ad-blocker in South Africa (Tweet this). This figure doubles in the U.S. at 26% and 27% in Australia. It’s likely the local figure will trend upwards like it has done with developed markets. 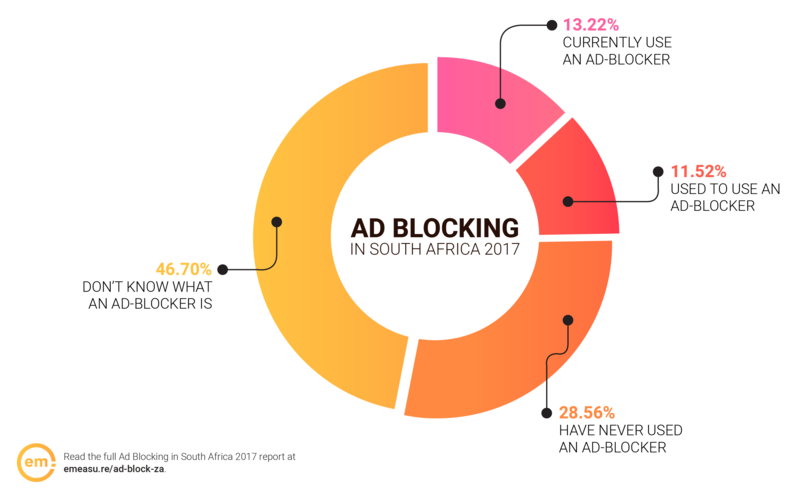 Download the full Ad-blocking in South Africa Report to get the best overview of this issue, including why South Africans install ad-blockers and what they think of online ads. Greg Mason has over nine years of digital marketing experience in display, search, mobile and social media marketing. He has worked closely with large international publishers like MSN, BBC, CBS Interactive, Sky News, Sky Sports, Daily Mail, TeamTalk Media, Times Live, Career Junction and various other leading local South African publishers. He is the Regional Lead for Narratiive in Sub-Saharan Africa.